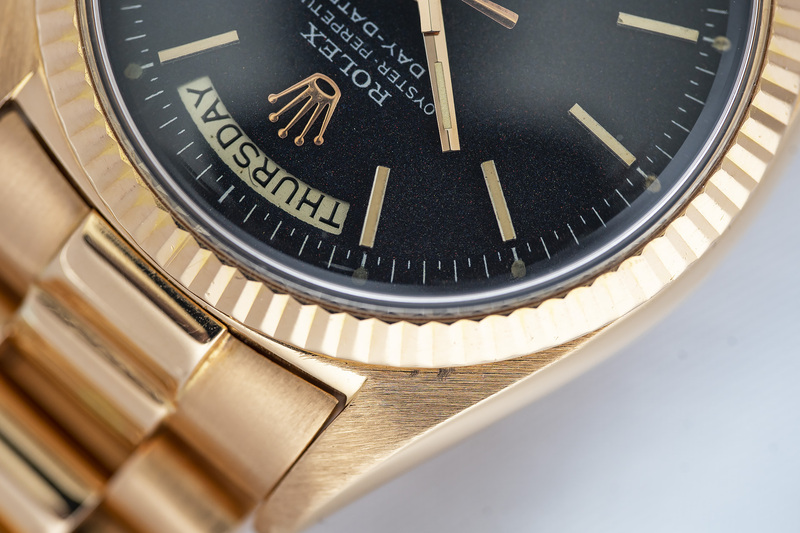 As most of you know the Rolex Day-Date was the first watch ever produced that displayed both the date and the day of the week spelled out in full. 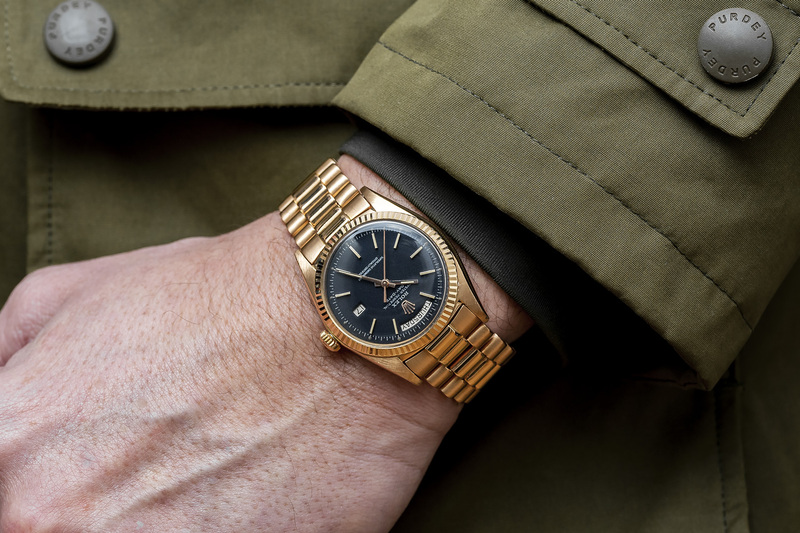 The Rolex Day-Date watch has been made exclusively in precious metals, either in 950 platinum, 18k pink, yellow or white gold. 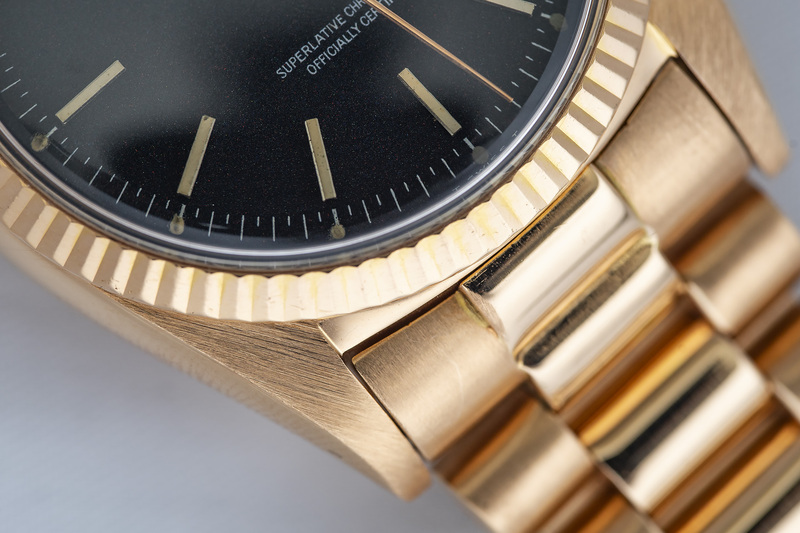 Most 1803 references are found in yellow gold, next is white gold and I’m not sure but I think platinum and pink gold share the third place of vintage Day-Dates found in rare precious metals. 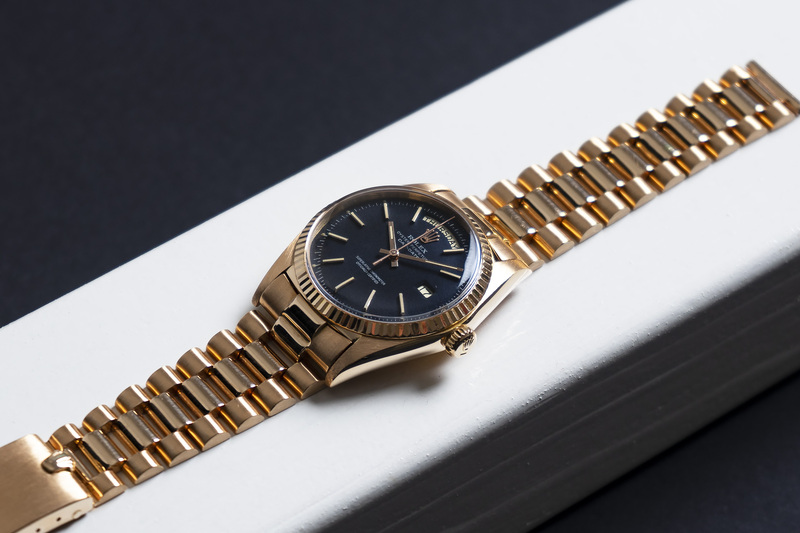 What I can tell you for sure is that it’s nearly impossible to find another pink gold Day-Date like the one we’re offering here – It’s truly a rare vintage beauty in one of the best configurations! 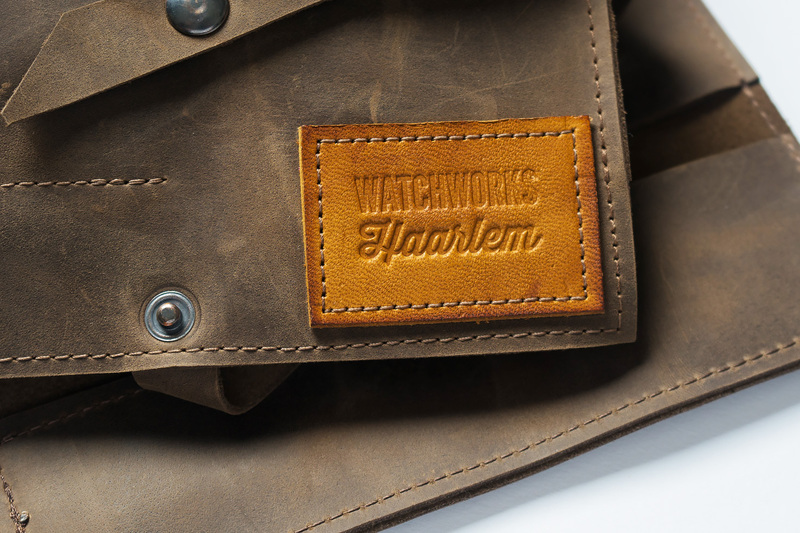 The entire case and bracelet radiate a beautiful warm pink color, almost red. 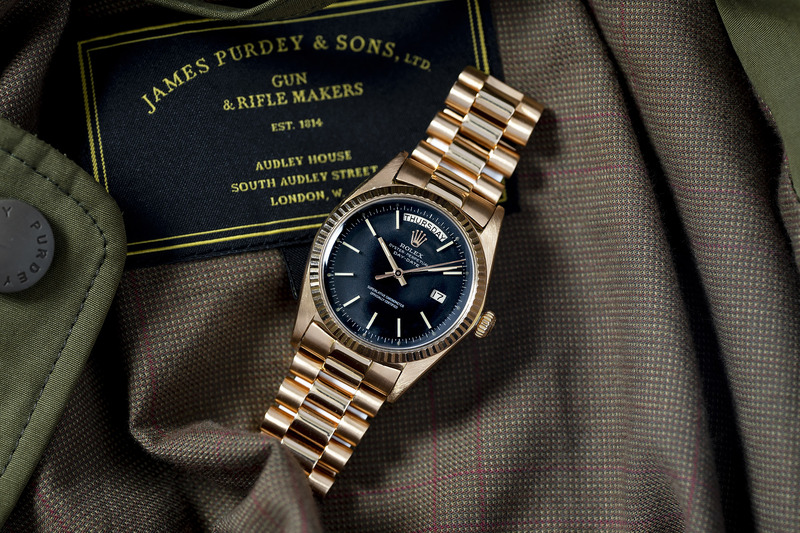 This red gold combined with the matte black dial will keep you gazing at your watch and forget all about what you were doing in the first place, it’s truly stunning! 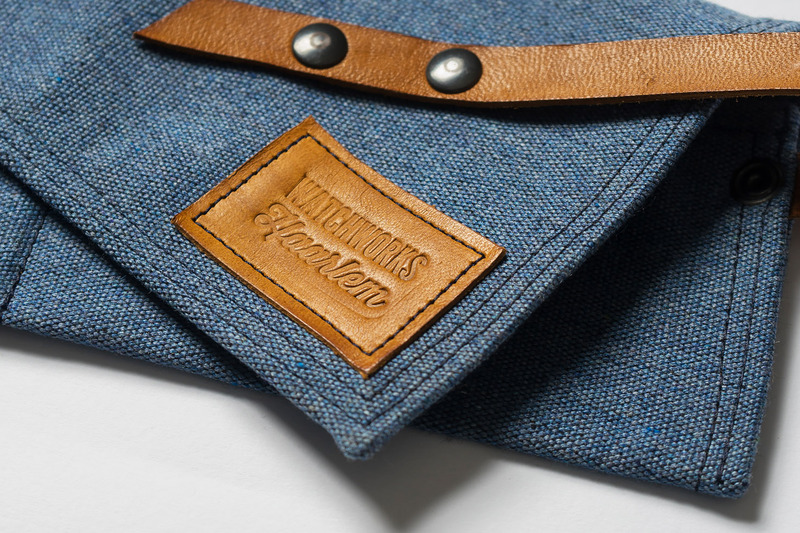 Overall condition of the watch is very good with a strong case and sharp bezel. 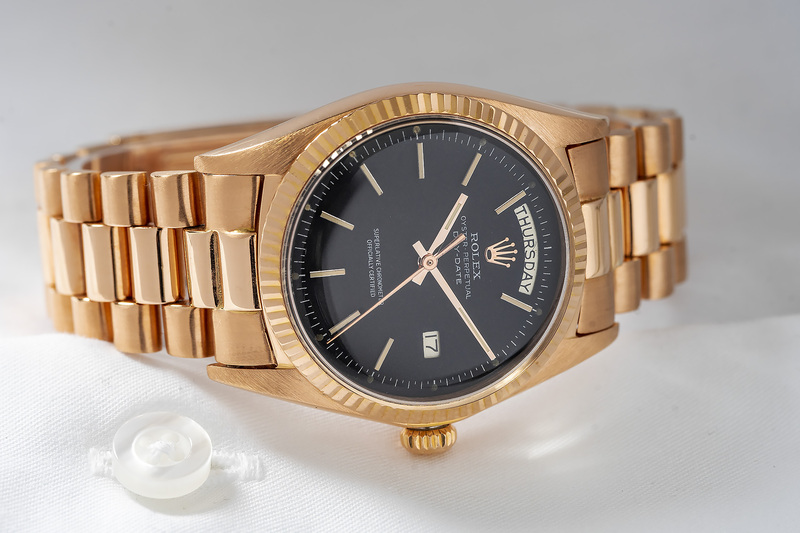 The pink President bracelet is fitted with an Oyster clasp and is in an equally very good condition with little stretch – However, the Rolex coronet on the clasp is not that sharp anymore and lost part of its crown shape due to a polish, unfortunately these things happen and we can’t have it all. The beautiful matte black dial fitted inside this Day-Date is a rare one and is sometimes also referred to as a ”Marble” or ”Confetti” dial, due to the fact the black paint is slowly starting to show what it consists of. 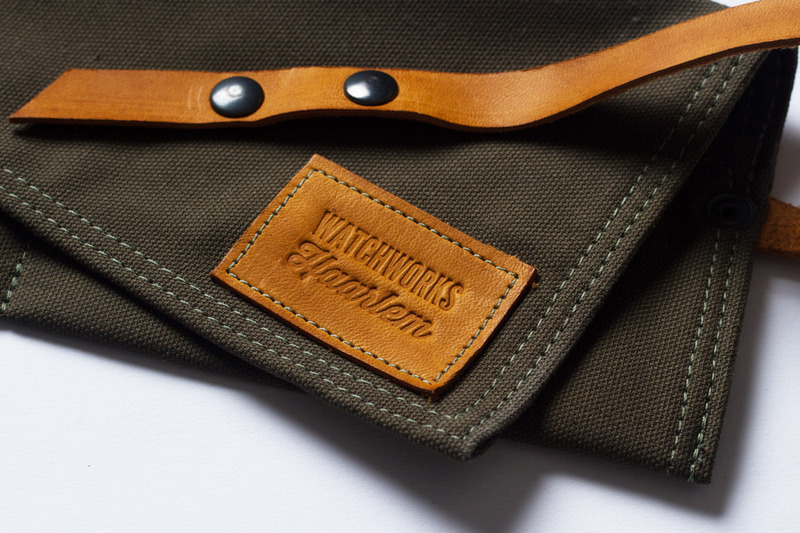 Black dial paint was/is usually made with equal parts red, yellow, and blue paint mixed together, through aging of the dial you will see small round ”Marbles” or ”Confetti” of paint, of those exact colors starting to appear through the matte black surface. 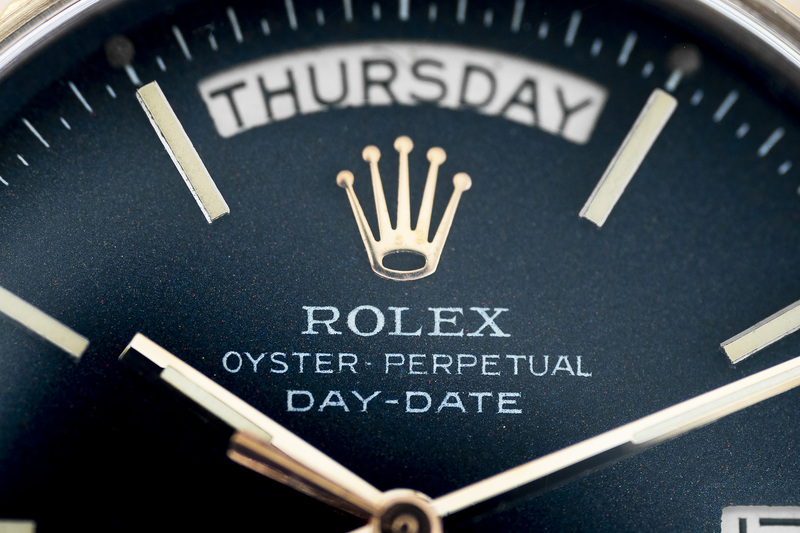 Please have a good look at our macro image of the dial above, I’m in love with this effect of aging, it gives this one of a kind Day-Date even more charisma. 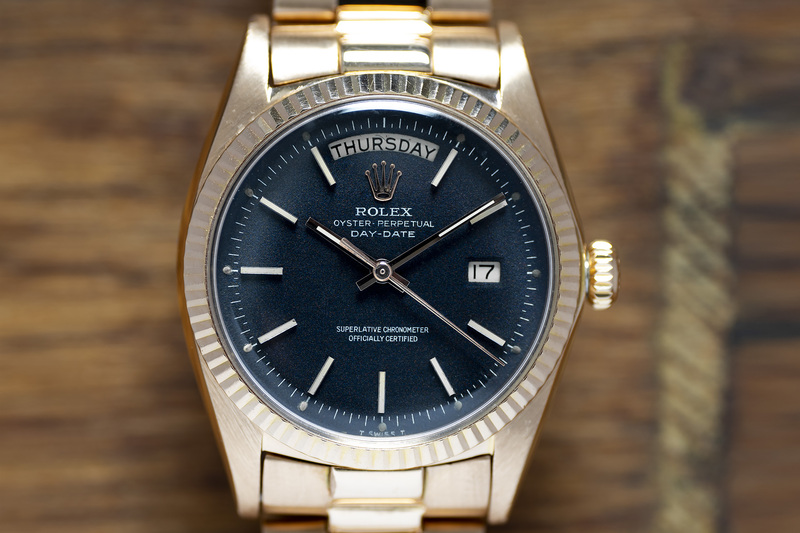 Also, a black dial on a four digit Day-Date is a rarity in itself, most vintage Day-Dates feature gold or silver dials – do the math. We fitted a clean Tropic crystal, without magnifier, so that gorgeous black dial can be enjoyed to the fullest! 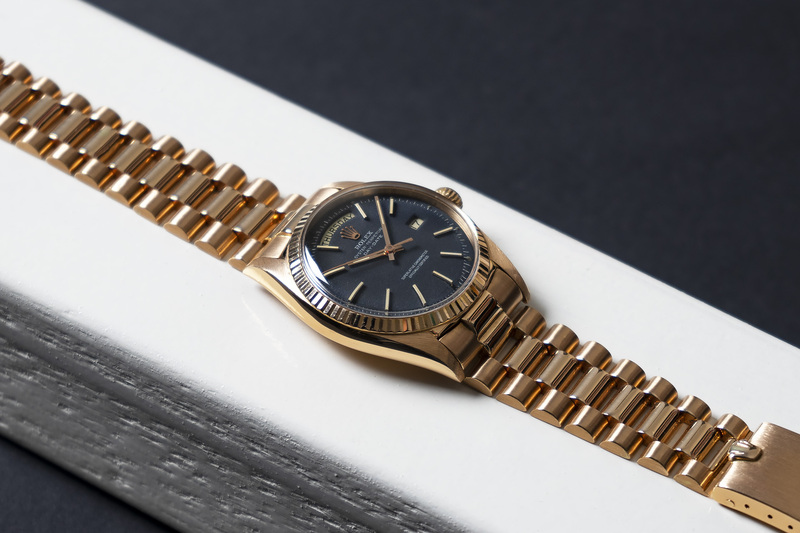 This very rare pink gold 1803 Day-Date is fully serviced according to the rolex standard and will be sold with a twelve month warranty.